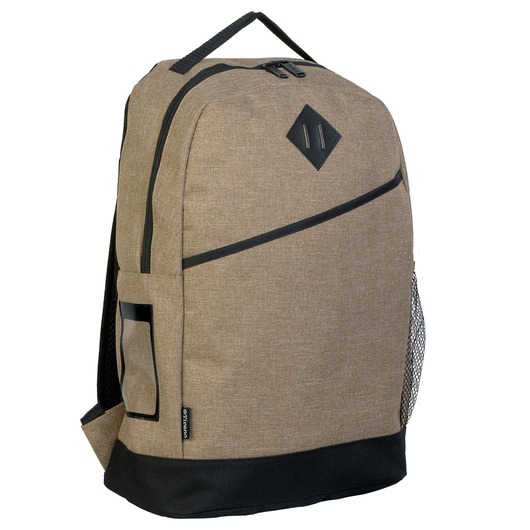 Make travelling easy and convenient with this stylish backpack. This backpack keeps your back cool and it is comfortable in the warmer months. With style and versatility, this bag is what you need for your travel needs. Inspired by the latest in European fashion, culture and creativity, it embodies a passion for design, innovation and personal expression. Manufactured from 600D canvas-like polyester with PVC backing, with a carrying capacity of 22 litres, making it versatile, functional, and economical. 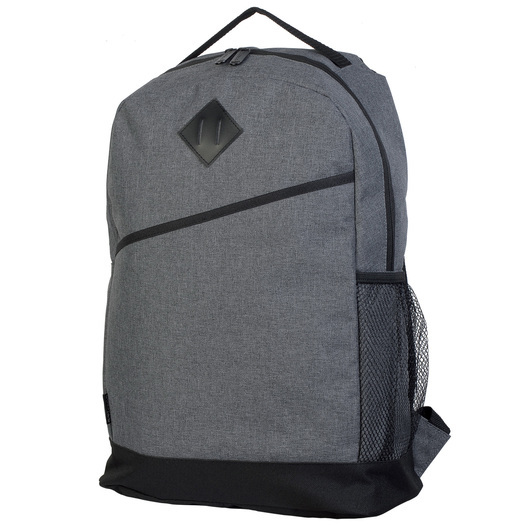 It features a front slip pocket, large main compartment for maximum storage, adjustable padded shoulder straps and top grab handle, side mesh pocket, solid branded zip pulls, and business card holder on side. Designed with superior craftsmanship without compensating quality or functionality. Great for cycling, hiking, fishing, camping, sports, or are just looking for a sturdier option for travelling.